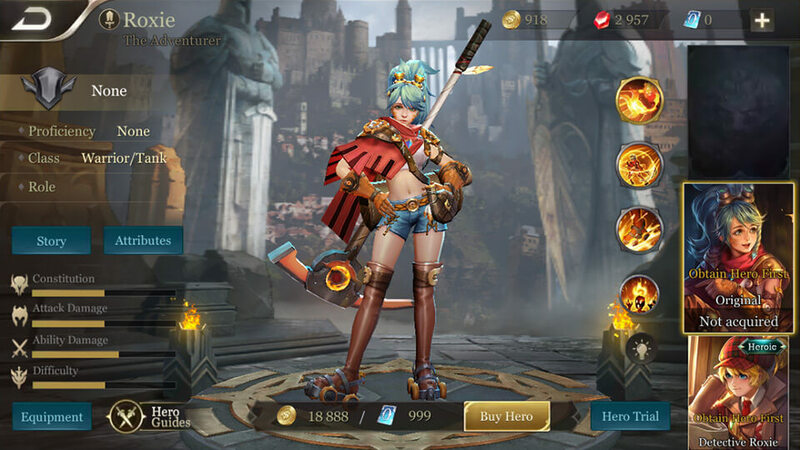 HomePreviewsNew hero Roxie is now available! 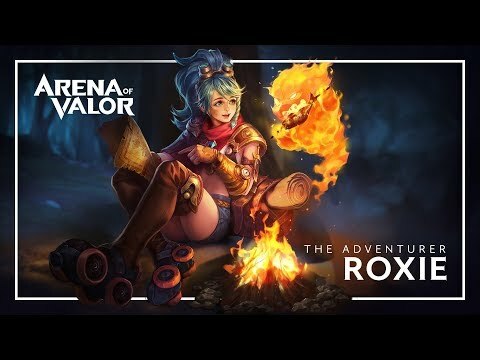 The Arena of Valor newest tank hero Roxie is now available in Europe, US/Canada, Latin America and Asia servers. 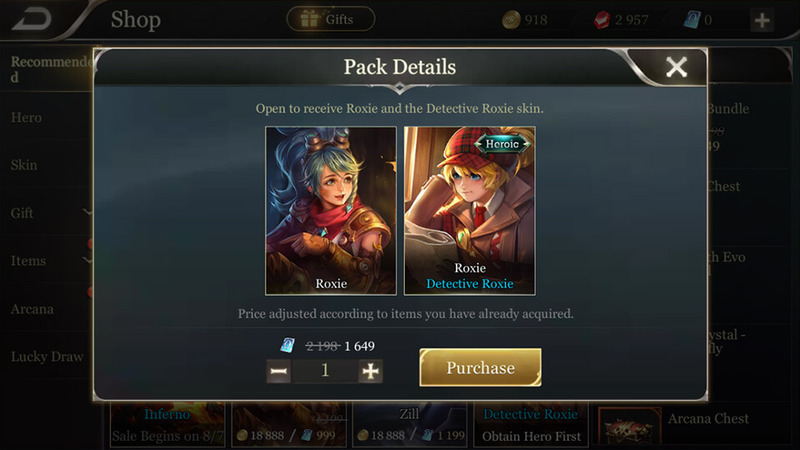 Arena of Valor players can grab Roxie with 18,888 Gold / 999 Vouchers or Roxie bundle (Roxie + Detective Roxie) with 1649 Vouchers from August 3rd until August 9th, 2018. Roxie and Agnie were a happy go lucky pair of adventure seekers. Roxie came from a long line of historically renowned explorers—some of them were, in fact, the ones who dug up the mineral veins that brought riches and prosperity to Mildar. The happy (and definitely a bit insane) family would have been able to just settle down and enjoy a peaceful life of affluence, yet the desire for adventure that ran in their veins would not allow them to do so. Instead, they paid their most trusted friends a generous amount, enough to raise a newborn all the way to adulthood, and entrusted them their offspring so that they could continue seeking out grand new worlds without needing to lug around a whining child. That was how Roxie’s grandfather grew up. It was how her father grew up. Roxie herself, too, was no different. The only childhood memories she had of her parents were letters that came every few months—as long as the intrepid couple hadn’t managed to trap themselves in some mysterious crypt or gotten too immersed in exotic locations to remember to write to their only child. Roxie envied the lifestyle of her parents to no end. She remembered little about either of them, but their letters spoke of happiness and romance, and Roxie, being young and full of imagination, was completely sold. “The day will come when I set off on an adventure of my own and meet my Prince Charming,” she would always say. Her days were well spent in detailed daydreams of her future travels, where she would journey to the end of the world and unearth exciting relics and mystic treasures alongside some dashing gentleman. Unfortunately, Roxie did not find her Prince Charming—life throws curveballs like that. 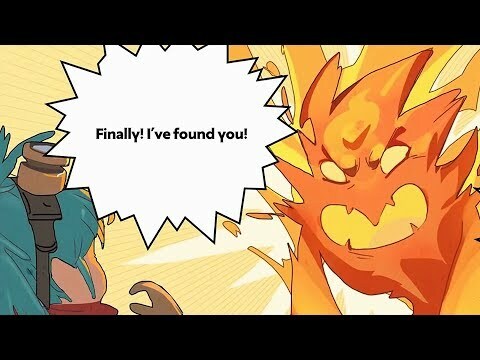 Instead, she found her travel companion in a mischievous and infinitely annoying fire spirit named Agnie. A gift from Roxie’s parents to celebrate her coming of age, Agnie was energetic and loved pranks of all kinds. With it came a treasure map Roxie’s parents had lovingly drafted, marking countless explored and unexplored treasure locations. On the birthday card were the words: “Go on, search for everything you could ever want. We look forward to meeting you somewhere along the way! Love, Mom and Dad”. This was clearly her cue to set off on her first adventure! Roxie could hardly wait. She had her backpack and her mining pick. She was ready for Roxie’s Grand Adventure. “What about me? You should call it ‘Agnie and Roxie’s Grand Adventure’,” the fire spirit complained, poking its head out of the backpack. Roxie couldn’t really argue with that. Agnie was right, for Roxie, despite her aspirations to become the greatest explorer to have ever been born, was hopeless with directions. She could barely tell which side of the map was up. That was the true reason her parents had gifted Agnie to her—she would probably spend days walking in circles otherwise. After bidding farewell to the kind, old man Moren, the optimistic Max and the well meaning, little spitfire Wisp, Roxie was finally on her way. Agnie was a pain in the neck, but at least it was good company. Every 50 maximum HP grants Roxie 1 ability power. 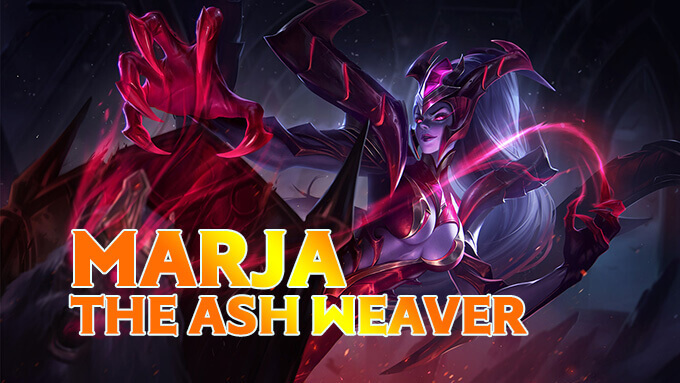 On every 3rd normal attack, her mana is restored by 8% and Agnie puts a mark on the target that lasts for 5 seconds. 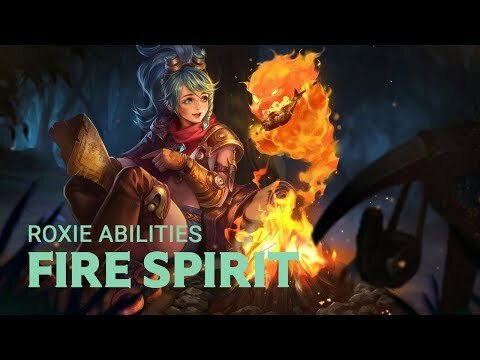 Roxie’s boots are infused with the power of fire while consuming mana, and flames ignite under Roxie’s feet as she walks. 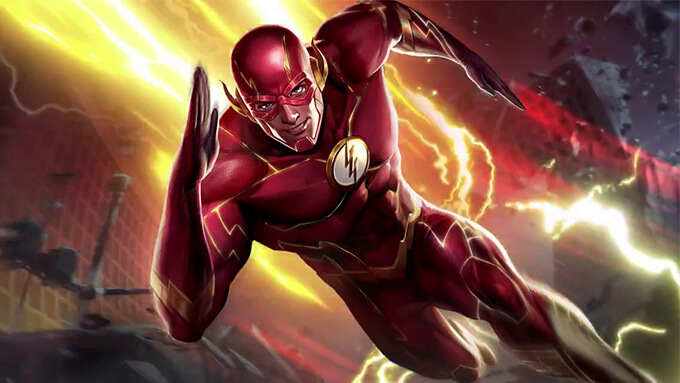 Each flame lasts 2.5 seconds and deals magic damage every 0.5 seconds to targets nearby (stacks up to 3 times). 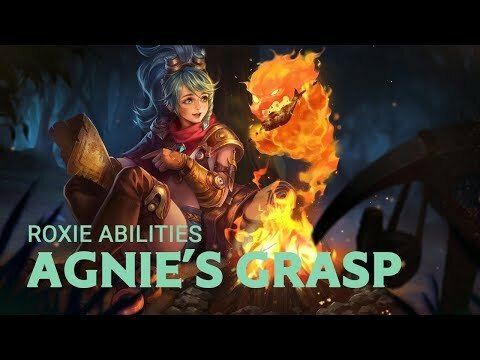 If an enemy is marked by Agnie, Roxie’s health is restored by 1% of HP she lost (2% if the target is an enemy hero), but this effect does not stack. 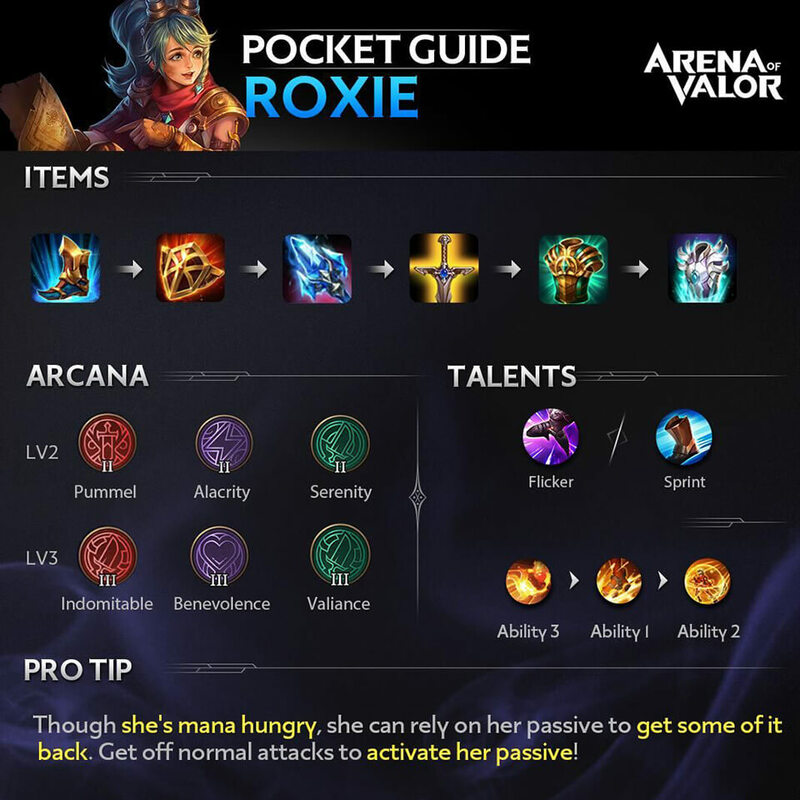 Roxie gains 20% movement speed and a flame shield that absorbs damage and lasts for 3 seconds. 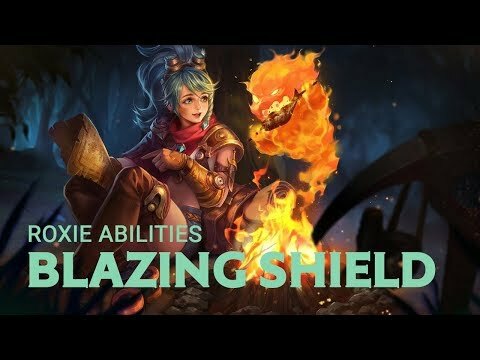 The movement speed of enemies that come into contact with Roxie while her shield is active is reduced by 50% for 1.5 seconds. Agnie reaches out, marks and pulls the first target it touches towards itself for 2.5 seconds, dragging the target along as Roxie moves. The cooldown for Wild Fire is immediately reset. While being dragged, the target ignores obstacles and is immune to other control effects. The target also takes magic damage. Use Wild Fire to attack marked targets as much as possible and to stay alive. 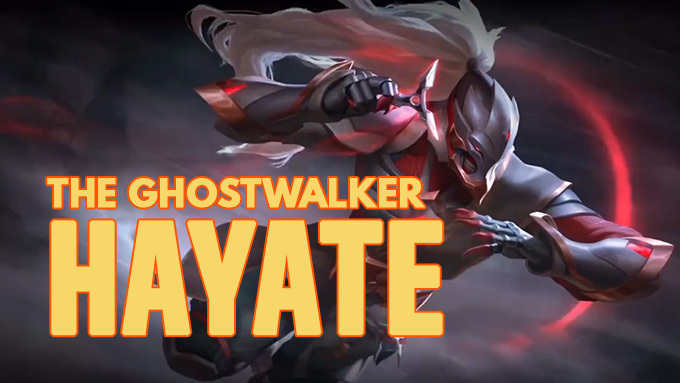 Welcome to the Roxie hero spotlight narrated by DTwo, head writer of Samurai Gamers.